Discover renegade composer Igor Stravinsky and the music that shocked, unified, and brought the world to its feet. Join Michael Tilson Thomas and the SF Symphony for an eye-opening, ear-stretching two-week festival that celebrates how one man orchestrated a daring collision of sound, movement, and design that transformed how we experience art. 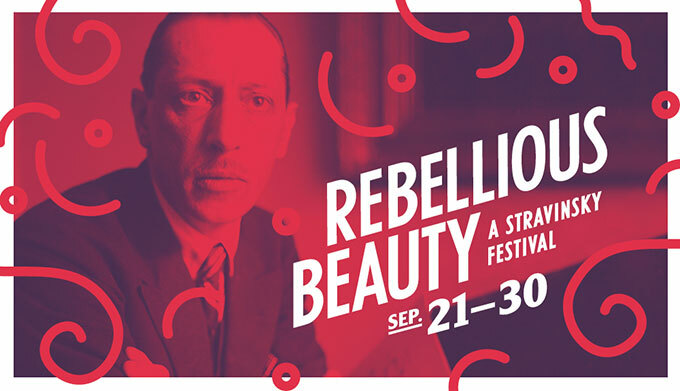 Rebellious Beauty: A Stravinsky Festival features extraordinary SF Symphony performances of the mythical The Firebird and the infamously riotous The Rite of Spring, as well as special pre-concert events including free screenings of Keeping Score: Stravinsky and performances by SF’s Art Haus Collective. Join us for a Stravinsky deep dive like no other. The first performance of The Firebird made Stravinsky a celebrity—for life. Its Parisian audience wanted a taste of the avant-garde, and with this ballet score he more than delivered. LISTEN FOR: Based on a fantastical Russian fable, Stravinsky’s colorful score takes advantage of each instrument’s specific sound to enliven individual characters. Try and pick out which instruments represent the Russian prince, his evil foe (a dark sorcerer), and the magical, glowing Firebird. Samuel Dushkin, who premiered the Violin Concerto, recalled that one day at lunch, Stravinsky “wrote down [a] chord and asked me if it could be played. . . . I said ‘No.’” When Dushkin realized that it actually could be played, he called the composer, who completed the concerto in six months. LISTEN FOR:The chord that was so casually brought up at lunch begins each of the work’s four movements—Stravinsky called it his “passport” to the music. The premiere of Le Sacre du printemps and the infamous audience riot that followed catapulted Stravinsky onto a path from which there was no turning back. He described this controversial piece as “unified by a single idea: the mystery and great surge of creative power of spring.” LISTEN FOR: There are many connections to folk music, including a Lithuanian tune that is the basis of the incredibly famous, astonishingly difficult high-pitched bassoon solo that opens the piece. Stravinsky. He was the one everybody watched, the trailblazer, the pathfinder, the very exemplar of the 20th-century composer. Igor Stravinsky’s epochal collaboration with Serge Diaghilev’s Ballets Russes, and his long association with the SF Symphony and its music directors is the subject of the September exhibit Stravinsky: The Man. The Myth. The Riot. Explore the exhibit online. Visit the exhibit at Davies Symphony Hall from September 10–30 in the First Tier Lobby. 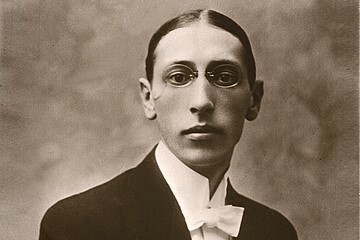 Michael Tilson Thomas was not only influenced by Stravinsky, he knew him. From the formative concert experiences of MTT’s youth when both he and the composer worked together and called Los Angeles home, to his many Stravinsky performances as a conductor, MTT’s memories of the master are something he cherishes. Get the insider info at a special pre-concert screening of Keeping Score: Stravinsky’s The Rite of Spring. Hear more about Stravinsky and his music from SF Symphony musicians. Keeping Score: Stravinsky’s The Rite of Spring will be screened 90 minutes prior to the September 27–30 concerts only. Art Haus Collective performance will be located in the First Tier Lobby, and begin one hour prior to the September 27–30 concerts only. 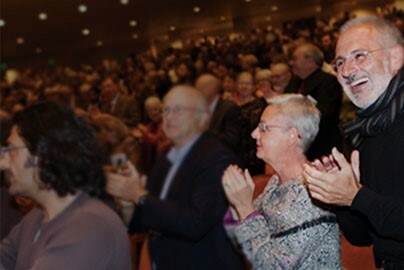 Enhance your concert experience by arriving early for a compelling pre-concert Inside Music talk on Stravinsky with host Peter Grunberg, Musical Assistant to Michael Tilson Thomas. Mr. Grunberg is a principal collaborator on the Symphony’s Keeping Score project whose impressive musical background on and off stage includes performing as a piano soloist with the SF Symphony, and engagements at the Aix-en-Provence, Salzburg, and Tanglewood festivals. Inside Music talks begin one hour prior to the concerts September 21–23 only. Experience the artistic legacy live at the concerts. MAKE IT A FESTIVAL by buying tickets to each week’s concerts! **Not all pre-concert activities will be available at both concert weekends. We recommend that you buy tickets to each week’s concerts to fully enjoy this immersive experience. Click on the links below to jump to another part of the page, or scroll to view it in its entirety.